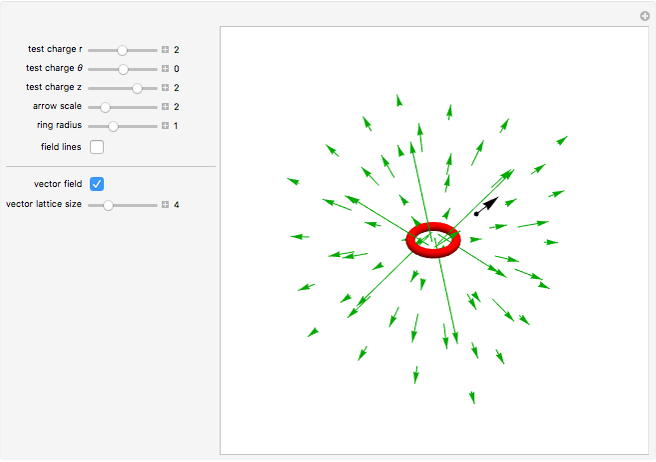 This Demonstration shows the electric field around a uniformly charged ring, either as a force vector on a movable test particle, as a collection of field lines, or as a 3D vector field. The radius of the ring changes, becoming a point charge in the limit as the radius approaches zero. 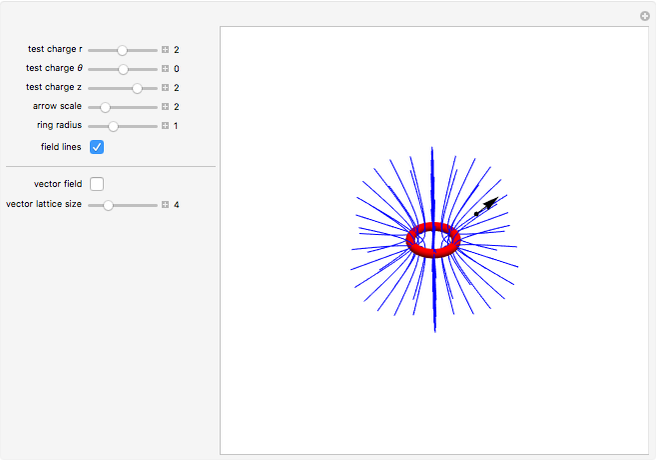 By default, the field lines and vector field views are switched off; switching on the latter, in particular, slows down the response time. Phil Ramsden "Electric Field around a Charged Ring"